I will start with creative and unfamiliar idea. 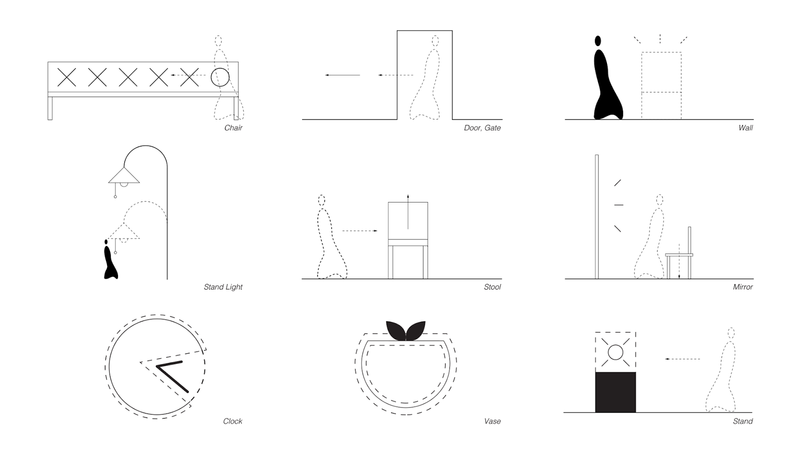 The material will be friendly object in real life like a chair, door, light etc and more space (wall, room etc). This is a schematic diagram sketch for action and reaction in real using.